The 5 Best Small Airports in the U.S. 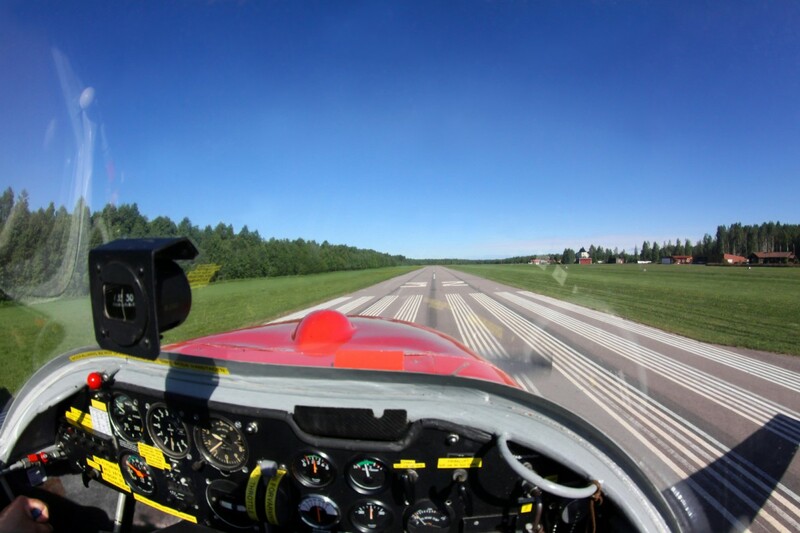 Early landing strips slowly transformed into small airports during World War II, when aviation technology advanced and the celebrity of aviators like Charles Lindbergh, Amelia Earhart, and Howard Hughes popularized the profession. Today, small airports serve private, commercial, and aviation enthusiasts alike. Here we explore five of the best small airports in the United States. Delaware County Airport/Johnson Field in Indiana is also the home of our friends at Muncie Aviation. As the airport’s fixed base operator, Muncie Aviation provides aircraft sales, avionics, parts, service, flight or line service. They’re also the oldest Piper dealer in the world. A whopping 93% of the traffic that flies into the Delaware County Regional Airport fly in expressly to conduct business with Muncie Aviation. The company is also 100% employee-owned, which is one of the reasons they have some of the best customer service in the country. Is there a better airport in the United States than the one that lands you right in the middle of wine country? If that isn’t enough, giving you a route into Napa that avoids San Francisco’s traffic is reason enough to make this one of the best small airports in the country. Built as a result of the attack on Pearl Harbor, Napa Auxiliary Air Defense Field was one of hundreds of small airfields constructed on the west coast in 1942. At war’s end in 1945, the federal government turned over control of the airport to Napa County. With explosion of the wine industry in the 1970’s the airport has become an economic highlight for the region. This small airport was also built during World War II and used by the U.S. Naval Air Facility to test fly and deliver aircraft. Following the war, it was used as a boneyard for U.S. Navy, Marine and Coast Guard aircraft. It’s still used today to store commercial planes. Its 8,500-foot runway and its dry location in the Sonoran Desert is perfect for long-term aircraft storage and testing. The airport is a hassle-free way to visit Phoenix, especially as traffic increases when Major League Baseball’s Cactus League begins Spring Training in February. The airport is within 30 minutes of all the MLB training stadiums. It’s quite common to see locals in Piqua setting up their lawn chairs to watch the airshows put on by the famous pilots visit Hartzell Field. Located just outside of Piqua, Ohio, this airport is our home base here at Hartzell Propeller. The airport is also within twenty minutes of the United States Air Force Museum at Wright-Patterson Air Force Base and the United States Aviation Hall of Fame. A few more minutes on the ground and you can visit the Wright Brothers’ Aviation Trail in Dayton. Call us partial to Ohio, but an hour south of Piqua is this 527-acre airport, which was constructed in the 1950s by the famous inventor Charles F. Kettering to enable his business interests. It operates 24 hours per day, 7 days a week and is conveniently located between the cities of Dayton and Cincinnati so it stays busy. In fact, from August 2012 to August 2013 the airport saw nearly 90,000 operations (244 per day). All that without a control tower! What do you think the best small airport is in the U.S.?